I love hearing about people’s favorite Thanksgiving dishes- it is one of those topics that yields passionate and diverse responses. 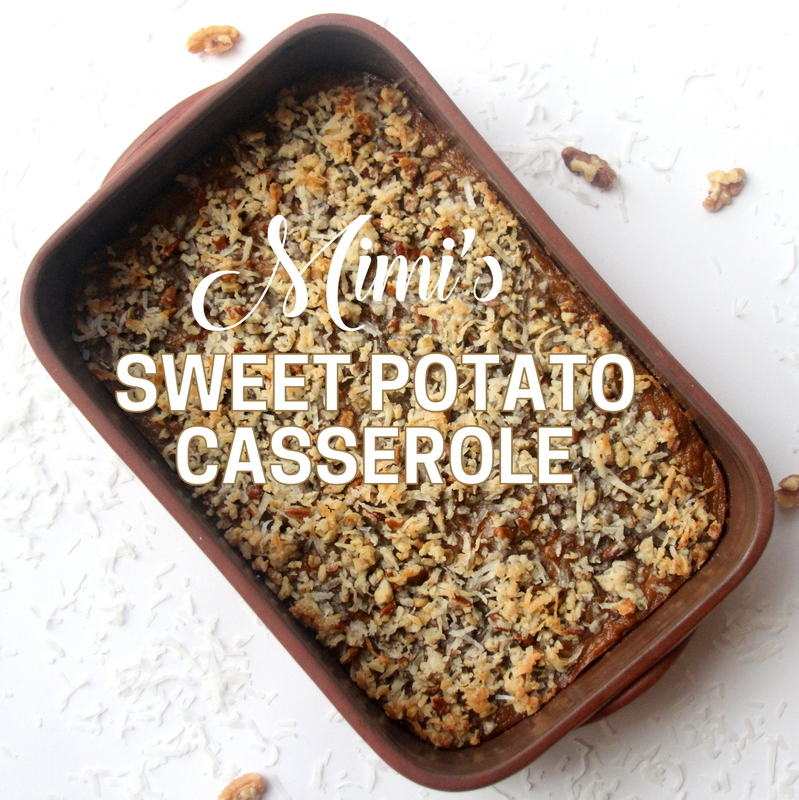 Sweet potato casserole (and specifically, Adam’s Mimi’s sweet potato casserole) holds my top spot. 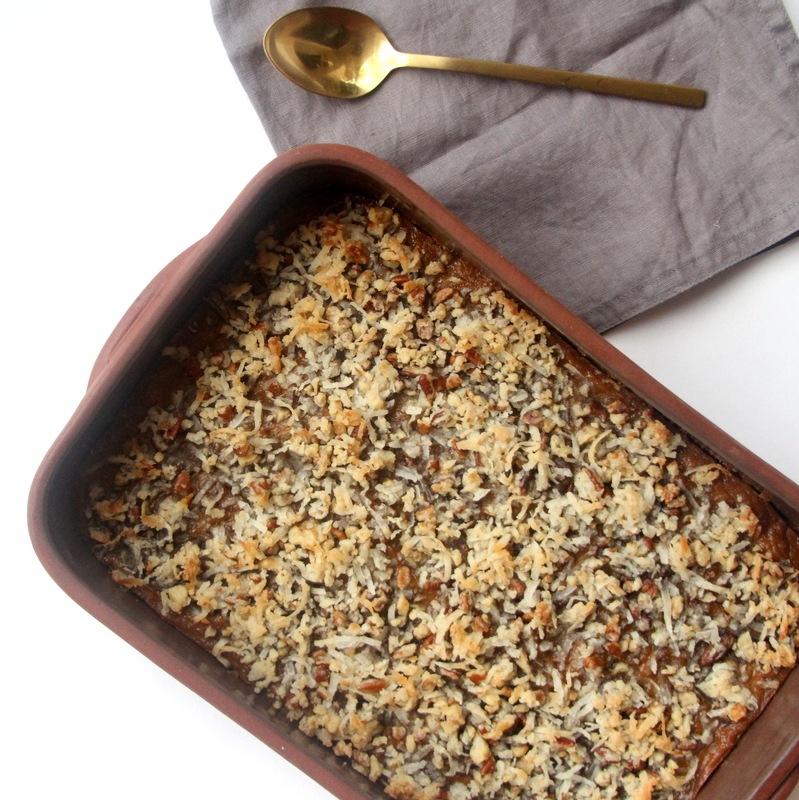 It’s the perfect combination of side dish + dessert. 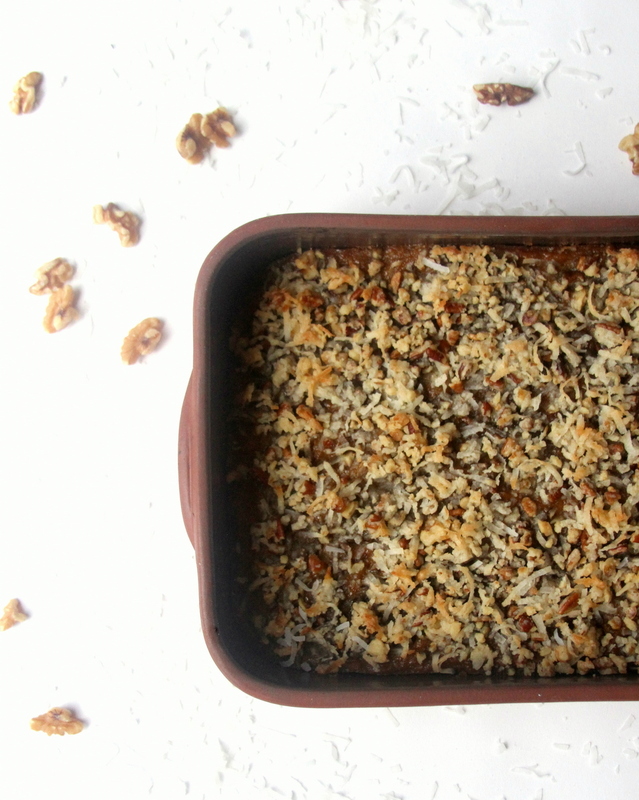 And it’s topped with a generous sprinkling of coconut, and coconut always woos me. 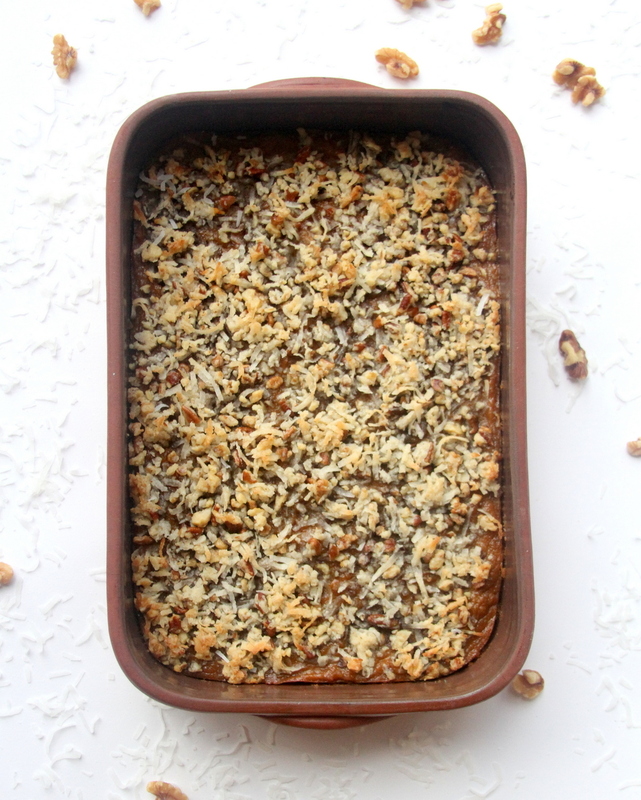 If you don’t have a go-to sweet potato casserole recipe (and you have a sweet tooth like me), try this one. Seriously. 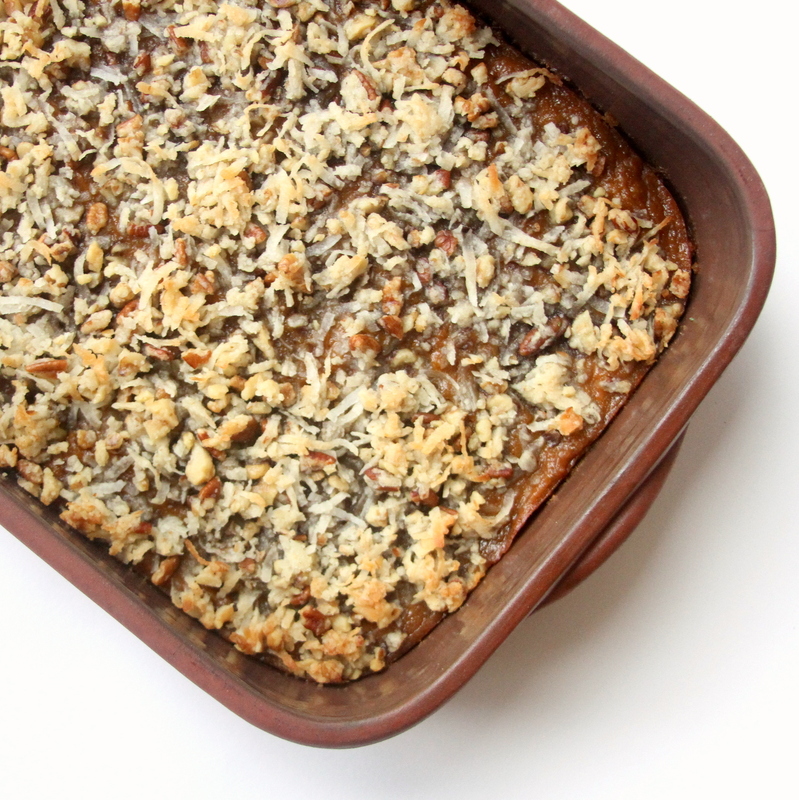 It isn’t the healthiest recipe I’ve ever shared, but the extra yumminess is totally worth it (sorry mom!). 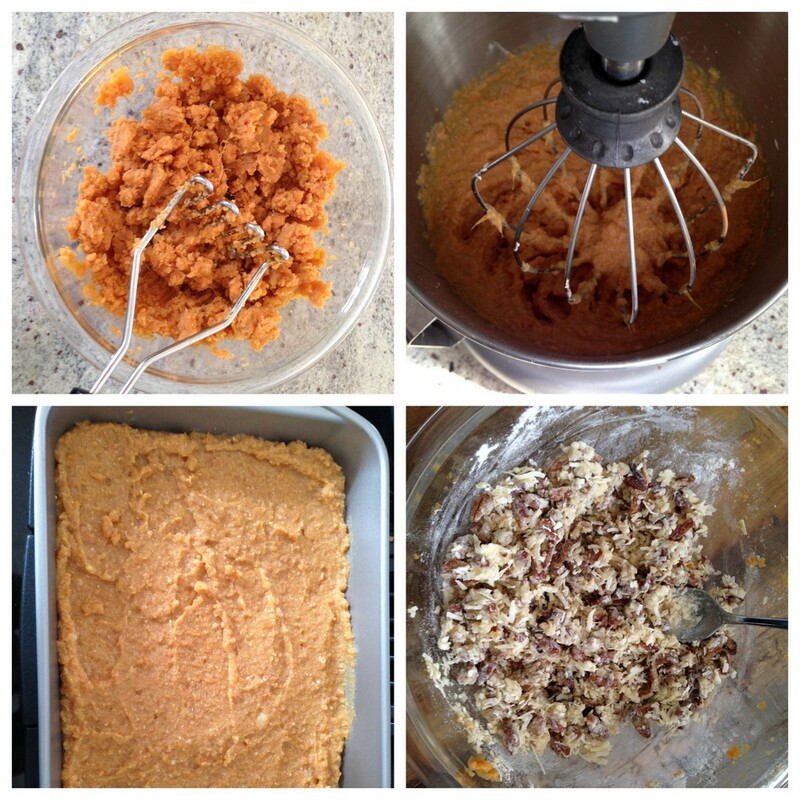 Mix together sweet potato mixture and pour into greased baking dish, cover with topping (mix all ingredients together) and bake at 350 for 35 minutes.